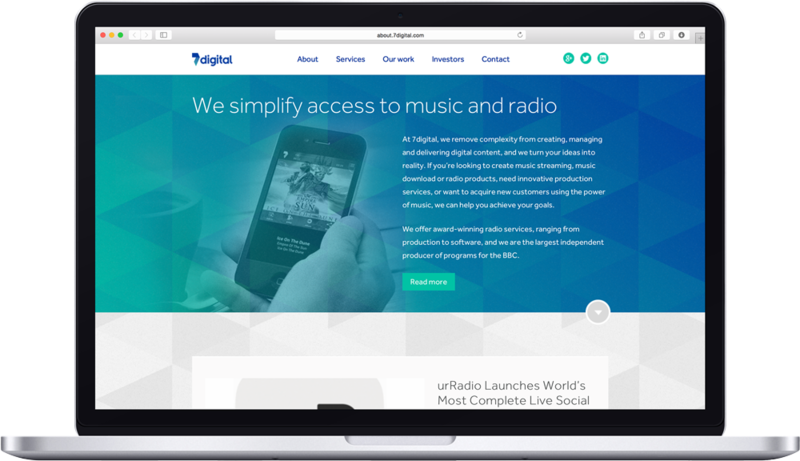 7digital simplifies access to the world’s music and radio stations, offering both B2B services for digital music partners as well as branded direct-to-consumer music downloads. Their scalable digital music platform and flexible APIs are used to power comprehensive music and radio services for leading consumer brands, mobile carriers, hardware manufacturers, and broadcasters — including Samsung, BBC, McDonald’s, and Yahoo!, among others. 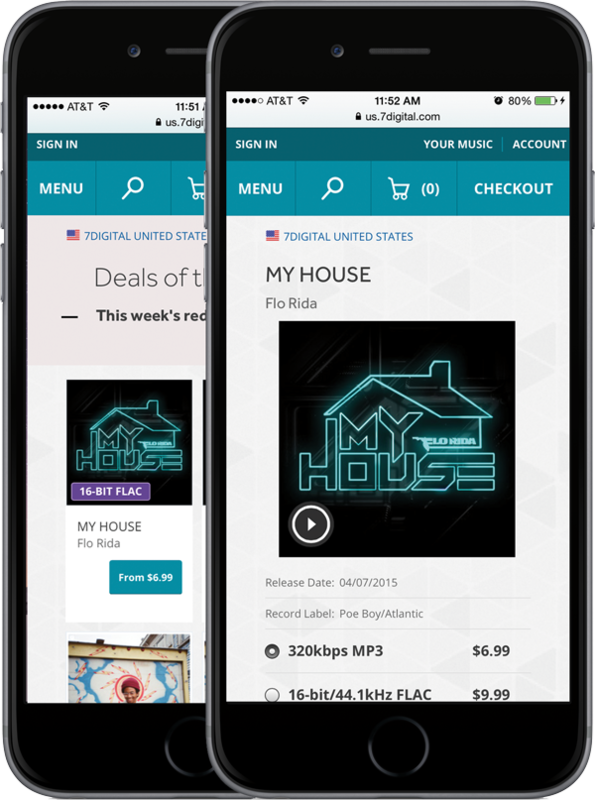 7digital’s global catalog contains more than 27 million tracks; customers in 20 countries purchase music from the www.7digital.com music store and 7digital-branded mobile apps, which have been pre-installed on more than 60 million devices worldwide. 7digital needed a modern content delivery solution that would act as an extension of their stack, enabling them to update their CDN configurations in real time to keep pace with the dynamic nature of their industry. 7digital’s previous CDN provided limited visibility into their application’s performance and little control over their service, making configuration changes difficult and time-consuming. When an incident with their previous provider took down their streaming services for several hours, 7digital turned to Fastly, seeking a fully transparent and high-performance CDN with expert support. Fastly provided 7digital with an out-of-the-box CDN that was easy to configure and integrates seamlessly with their existing infrastructure. The team incorporates Fastly into their development cycle through automated deploys using Fastly’s API. This enables 7digital to completely customize and control their CDN, making changes instantly without needing to file a ticket with customer support. 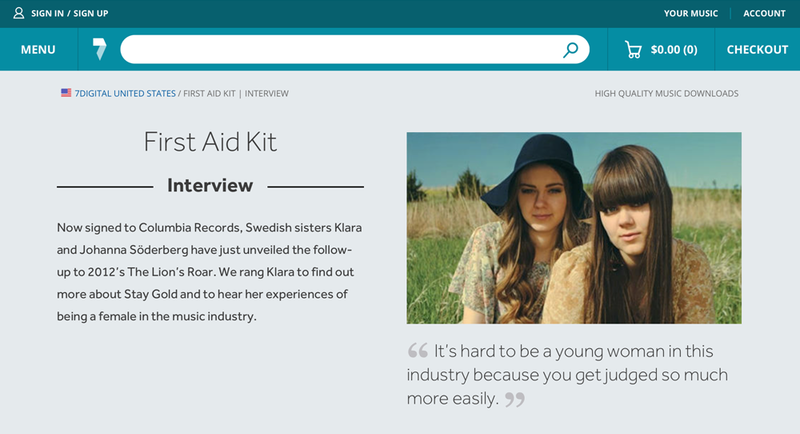 When they do need help, 7digital finds Fastly’s support team very responsive and proactive — often raising potential issues before 7digital is even aware of them. Because music files are large (four to eight megabytes each) and 7digital’s music library is long tail by nature, reducing the Time To First Byte (TTFB) latency for songs that aren’t in the cache is critical to the user experience. Fastly’s Streaming Miss allows objects to be streamed back to the user immediately from origin while the entire object is fetched in full. This means 7digital customers who request a song that’s not in the cache will begin hearing music as soon as they push play. The requested object remains in the cache for future requests, while the listener benefits from Fastly’s traffic engineering and inter-POP keepalive connections put in place for dynamic site acceleration (DSA). Streaming Miss ensures that 7digital can deliver any of their music files regardless of how frequently they’re accessed without sacrificing performance. 7digital uses Fastly to cache their music streaming services, and recently added cross-device audio streaming using HTTP Live Streaming (HLS), which is required to stream to iOS devices. By serving music files directly from the edge, Fastly helps 7digital improve performance for their end users around the world and scale their streaming service infrastructure. 7digital has achieved steady improvements in performance since moving to Fastly. Their team keeps an eye on performance using Fastly’s real-time analytics, which they’re able to stream to Graphite for more powerful monitoring and data visualization. 7digital was already familiar with Varnish, a web accelerator designed for high-performance content delivery. One of the main reasons that 7digital chose Fastly is because it’s built on a customized version of Varnish that’s optimized for large-scale deployments, giving 7digital access to the power of Custom Varnish Configuration Language (VCL). 7digital uses Custom VCL to tailor their authentication process. Users access music collections based on various subscription options, so 7digital needed a way to control which users had access to specific files while also ensuring a great listening experience. When a user requests a music file, Fastly first authenticates the user’s OAuth signed request with 7digital’s origin before serving the content from the edge. This setup gives 7digital granular control over who can access specific files and for how long while saving origin bandwidth, helping them scale effectively.